Quoi que l'on pense des excavations menées par SY, il faut garder en mémoire que le cahier des charges de Operation Grange n'était pas stricto facto la révision de l'enquête de la PJ puisqu'à aucun moment celle-ci n'a été mise à plat de A à Z. L'enquête des Portugais s'est arrêtée pour diverses raisons dont une a été décisive : le refus des protagonistes de participer à une reconstitution des événements de la nuit du 3 mai 2007. L'affaire MC a ainsi été classée au point P.
À défaut de relecture à partir de A, OG aurait pu reprendre l'affaire au point P. Mais telle n'était pas la tâche confiée par le PM. Le Ministère public classa l'enquête portugaise avec une conclusion (d'échec) claire, selon laquelle la nature de ce qui était arrivé à MMC n'avait pu être établie, les hypothèses à la fin de l'enquête restant celles du départ : homicide volontaire ou involontaire, enlèvement, accident et recel de cadavre. OG n'a pas été chargé d'examiner l'ensemble de ces hypothèses, mais seulement une, la seule qui "donnait une chance" à MMC d'être vivante, l'hypothèse brandie dès la première minute par ses parents, la seule non blasphématoire, l'enlèvement. C'est dans ce contexte qu'il faut situer les recherches entreprises par OG à PDL. Croire que OG n'est qu'un coup de théâtre organisé dans l'intention de ruiner l'enquête portugaise, diaboliser Gonçalo Amaral et béatifier des parents négligents selon un plan de gestion de réputation ourdi par leur spin doctor n'est que conspirationnisme. Mais il est certain que proclamer qu'une révision est entreprise sans s'en donner tous les moyens, a fortiori lorsque "on" est une police qui est tenue pour une des meilleures de la planète, sinon la meilleure, a de quoi laisser perplexe. Anchor : Concerning the outcome of searches to find traces of Madeleine McCann, the results are not very encouraging. Animal bones, one sock from a man, two cannabis plants were found and many soil samples were collected. In Praia da Luz, few believe in the success of this mega operation by the English police. Voiceover : The mega search operation took a long time to be authorised, but when the English police received a green light from the Public Ministry of Portimão, it moved into Praia da Luz. The first location of the police action was an extensive terrain near the sea. Sniffer dogs went into action, as well as geo-radars, archaeologists and forensic geologists. Around 30 members of the English team, plus 15 from the Polícia Judiciária. Forest sappers, GNR military, 24 hours a day. The only thing missing was the backhoe. Excavations were made with pickaxes and shovels, at various locations of the terrain, but one week later, results were not as expected. Rui Pando Gomes : This is one of the spots where the English police excavated, everyone had access to the spot and was able to watch the digging. The geo-radar detected a potential grave, but in the end, all what was found was a stone. V : In Praia da Luz, few believe in the success of this mega operation and even less in the thesis that is presented by the English police, that suspects that the child was taken from home by three burglars. Bystander 1 : It has no logic. What thief goes to burglarise a house, takes a child, kills her, carries her in his arms, in everyone’s sight, walking down the street, and comes to bury her here, on a terrain that is made only of stones? That is crazy! That’s all I have to say (laughing). V : These searches are being seen by residents and tourists as one big police movie. Bystander 2 : A movie. A movie, maybe. I don’t know if this is, as we say, for the English to see. I am a bit suspicious that this is going to result in nothing. V : And in the middle of this movie, some risk a possible scenario with different actors. B 2 : The Smith couple saw him on that street, he turned the corner and could have hidden the body in the garden of that abandoned house. Then, at 6 o’clock – may I say this? – the couple came, when everybody had gone, picked up the body and came to hide it here. It is possible. V : Despite the Portuguese authorities assuring that all expenses are being borne by the British, some have doubts about who is actually paying the Portuguese forces that stopped doing their job to be in Praia da Luz. B 1 : I would like to ask that from the big ones, to find out who is paying the gentlemen from the GNR that are doing services here every four hours. B 1 : Exactly. To all of them that are here, because they say it’s the English that pay, but I don’t see the English paying. V : After a week of searches, the collected residues are kept in boxes. A man’s sock, animal bones, two cannabis plants, soil samples and a lot of rocks. Indications that will be used to sustain the thesis of the investigators, that say that Maddie is dead and passed through this terrain. Or simply to widen the mystery of the disappearance of this English child. RPG : In this mega search operation, many means have been used. From the GNR, 40 officers were on location ensuring the safety of this operation, 40 members of the English police and of the Polícia Judiciária were involved in the searches, geo-radars were used, sniffer dogs, forest sappers were on location, and many people fought for this operation to be successful. Nevertheless, the evidence is scarce, the indicia found are very few, the final results are inconclusive. A : This is exactly why we speak with Gonçalo Amaral, former Polícia Judiciária inspector. He followed this investigation in the early days. Good evening, thank you for being here. Gonçalo Amaral : Thank you. A : How do you see the movie of the searches this week? GA : That is exactly it, it’s a movie. There are British journalists who speak of a farce, something staged for the media, and maybe it's nothing more than that. What is dangerous and serious is this attempt to find a new thesis, a so-called new theory about someone who goes to commit a theft and is scared by a three-year-old child and kills her and takes her out of there, I think it's convoluted. But it’s nothing new. I remember that within the investigation, back then, and I recall that I spent six months in that investigation, not seven years, or three or four, like Scotland Yard – during that time, there was this thesis, too. And it happens that it was brought forward by a colleague who was a member of British Police, of Scotland Yard. 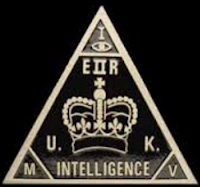 He was the only member of Scotland Yard who was present in that work group of the Polícia Judiciária and the British police, he was Scotland Yard. And when he advanced that hypothesis, it was discussed and completely set aside because it made no sense. Now they even added a bit more spice, to spice it up, that they are traffickers, that apart from trafficking, one day they thought of breaking into a house. Nobody proves that house was broken into, that there was a theft, there are no traces of a break-in. GA : What banking statements? Those found on the road, rubbish? We are speaking about rubbish that is being found, and nothing is being related with. The banking statements don’t belong to the McCanns, they weren’t taken from inside the house. Nothing was taken from that house. From that house, the only “thing” which is not a thing, it’s a person, that is missing is Madeleine McCann. There is not a television, a photo camera missing, nothing, no money is missing, and there are no traces of a break-in. Therefore, there was no burglary there. There was no assault on that house. So now this theory is another show, a farce like the papers and some British journalists say, and that is all that it is. A : And who is writing this farce’s plot? GA : It’s Scotland Yard that is writing. They have a certain difficulty to end the investigations, they are getting to the point of saying that she is dead, they will reach the point of saying that the cadaver can’t be found, and that the case can’t be solved. A : They are being pressured by the government, by the McCann family, by whom? GA : By time. By time and by the money that they have spent already, which is a lot. I remind you that this is a special group that has been on this investigation for a long time and that this has already cost the British public coffers thousands of pounds. And now it also costs ours, we saw some people mentioning that, what is being spent in terms of the Portuguese police, which is surely not being paid by the British. A : I understand that in your opinion, this is a diversion manoeuvre, but what is the purpose? GA : It’s not a diversion manoeuvre, it’s a way of making forget what exists. If you notice, while we are engrossed in the searches, that are even performed on the limit of the grounds for the press, for the television cameras to film, the grounds are huge but it’s on the border, close by – nobody is discussing the case files, nobody is discussing the indicia. And returning to the indicia, there is one that is proved and is included in the report that the Portuguese police wrote in September, after the disappearance, at that time, and which is the simulation of an abduction. So there is the simulation of an abduction, I ask: if these burglars are so intelligent, so intelligent that “let’s take away the child that is dead, that died of fright or that we killed, and that cannot appear because a homicide is different from a theft, there is no trace of theft, and on top of that we simulate the abduction”. Notice that is the story of the open window, everything is open as if the child had been taken through there. And in fact these have to very intelligent burglars. Then, they seem to lose their intelligence, because all of a sudden, they apparently went there on foot, it is said that they are three but only one was seen carrying the child in that area, into the direction of those grounds, leaves a body near the location of the disappearance – this not intelligence anymore. The intelligence seems to have stopped at that moment. But well, they say that there are phone calls that place them there… there is no substance, there is nothing there to give this thesis credibility. A : But how do these eight suspects appear, and with the intention of questioning three of them? GA : They appear because all that it takes is to go to the list of phone calls made in that location, during one or two days, or on that night, and check who has a criminal record. And these are traffickers. And then there is a jump. Traffickers are also burglars, they also break into houses, so it goes. Anyone who says that doesn’t know what drugs trafficking is, or at least drugs trafficking in the Algarve and the means that it implicates and the people that are behind it. Or we are talking about the trafficker that consumes, who is stealing to buy drugs and to sell some drugs. Then they say “we found two cannabis plants in the middle of the field”. This is where the drugs were kept. This is madness. These are completely mad people. If they moved further up, they would not find a few plants, there are hundreds of cannabis plants in that area, because some foreigners, people who live there, love the plant and they have huge plantations in that area. But that does not represent the traffic, the trafficker in the Algarve. The trafficker in the Algarve, the one that dedicates himself to the traffic, in terms of a relation with Morocco, with other countries, the organized traffic, which has some power, and that was also discussed here at the beginning – he even had a motorboat standing by at the beach and took the child away and so on – those are not going to burglarize houses and even less are they scared by three-year-old children. A : Gonçalo Amaral, is there any cause-effect relation between the fact that these searches, these excavations started shortly after Madeleine McCann was officially declared dead by British authorities? A : Goncalo Amaral, if I may, I would ask you to stay with us a little while longer while we update our viewers with new developments in this story. After searching a vegetable garden, nearby bushes and undergrowth were scoured with a fine-toothed comb. Then, armed with pickaxes and spades, they dug out plastics and other rubbish buried in the soil – the findings forced the forensic experts back to the spot in the area where earlier a hiding place had been discovered. On the sixth day, the English investigators bet everything on an area where they had earlier found a hiding place that was covered with a zinc plate. In this area, this first phase of searches will end on Sunday. The next two grounds will be subject to excavations on Wednesday and Thursday. A : Our guest Gonçalo Amaral already had the opportunity to say that in his opinion, all of this is a farce, but Gonçalo, so much time later, they are looking for a body, and that had not happened before. GA : Well, I heard an earlier version where they were digging but still maintained the hope that she is alive, so they are looking for a hole where the child is living, so there is some confusion here, also from the British police. But in fact the theory that the child is dead and that it died that night in that apartment exists since that time, since September of 2007, and it was a conviction both from the Portuguese police and the British police that worked on the case. So it’s not something new. Now what is being done is to go to everything that is in the process, and try to do it again; they did a reconstitution with actors in order to say that the parents were not suspects, they have e-fits of the person that took the child that night, at 10 p.m. and walked toward this area where these searches are taking place, that happens to be recognised by the Smith family, witnesses, as being the child’s father, Gerald McCann, so this is an attempt to question the conclusions of that report that is in the case files, forgetting about the indicia that exist there, and creating this ghost that there were some rogues, drug traffickers, big drug traffickers who one day decided to carry out a burglary, which even didn’t go very well, and who were scared of a three-year-old child, and even simulated an abduction, took the body away and buried it close to home. Just let me say this: The question of missing children, and it would be good if the British police or the Portuguese police would say it, when these cases happen, when a three-year-old child, who is in someone’s care, in this case in her parents’ care, disappears from that location, the place where the body will be placed will depend on two important factors. One is the knowledge of the terrain, what do those people know. And the other one is the means, the ability to move, to have a means of transportation that can carry the body further away. When a body is searched, just like the British police is doing, close to the apartment, then they have no doubts that the person that removed the body and placed it there did not know the terrain and had no means of transportation to take it out of there. Whom does this lead to? It doesn’t lead to any burglars. It leads to those that were responsible to care for the child. This is in the books – books that everyone has read. And maybe because everyone read them, the body does not appear in that area. A : Then there is a declaration from Gerry and Kate, in the middle of this week, that thank the authorities for the support and for their ongoing efforts to bring Madeleine home. This is the expression. GA : There are other expressions. Mr Gerald McCann said, a few years ago, two or three years ago, I can’t remember, “if she is dead then show us the body”. He will know why he says “show us the body”. There are other elements that point towards the fact that no body exists. Those elements should be taken into account. Those that are in the investigation should think how a body could disappear, how it is possible for this body to disappear under those circumstances. A : Gonçalo Amaral, let me ask a final question for a quick reply. Will we ever find out what really happened that night? GA : Yes, we will. When MI5 opens the case files, we will find out. 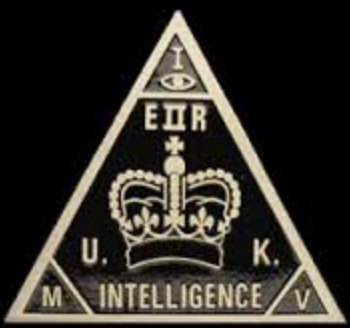 Don’t forget that the British secret services followed the case right from the beginning. On location. A : So only in ten, twenty years…? GA : I don’t know if that information will be made available, but if it’s like in the United States, it takes years to have access to that kind of confidential information. I’ll just tell you this. I recall that – this is not conspiracy theory. The searches that we made with Eddie, with Keela, with the British police, with the planning that is being carried out now, with the British forensics experts, and everything else, there was one person that was responsible for those searches, a British citizen. And at the end of those searches, at the end of that result, he returns to England, and he’s at the airport in Faro, waiting for the plane to return to England, and he receives a phone call. He is accompanied by one of our colleagues. And he then explains to our colleague that there was a member of the MI5 at the airport, waiting for him, to talk with him about the result of the investigation. Therefore, we are not making anything up. Malheureusement les paroles de GA disent tout le contraire. Le "responsable des recherches" est Mark Harrison, le haut conseiller en matière d'enlèvements. Il est accompagné à l'aéroport de Faro par un policier, probablement le chauffeur. Pour quelle raison va-t-il dire à ce policier qu'il vient de recevoir un appel d'un agent de renseignement qui l'attend à l'arrivée pour savoir quels sont les résultats des recherches ? Le plus plausible est que le policier n'a pas compris ce que lui disait MH, d'où une légende que, curieusement, GA ne met pas en doute une seconde. Everything has been made up. And someone has the information, so make the information available. From satellites, from the secret services, from wherever. A : Gonçalo Amaral, good evening and thank you for being here tonight. The forensic psychologist Paulo Sargento asked the bishop of the Algarve Dom Manuel Quintas, if any catholic can go to the church at any time. Hernâni Carvalho - How did you get to talk with the bishop? Paulo Sargento - I sent a registered letter with acknowledgement of receipt early on, in January 2010. Since I got no reply, about a month later, I sent an e-mail with the questions that I had. Four days later, it was the Bishop himself who replied, also by e-mail, apologizing for the delay in the answer. A hearing was scheduled for two or three days later. Hernâni Carvalho - And you felt clarified? Paulo Sargento - The hearing took place in February, at the episcopal see of Faro. The Bishop received me kindly. We talked about an hour. I had already been informed about a McCann visit to the church in the early hours and wondered if the Bishop was aware of that and I also wished to understand if any other catholic could do the same. Dom Manuel Quintas confirmed the McCanns had indeed been in the church on that day at 5am, that the person who had given them the key that night was Susan Hubbard, the wife of the Anglican priest, who had a key to the church at all times since her husband celebrated the Anglican mass there. Susan assured the Bishop the McCanns wanted to pray without being harassed by the media. However, the Bishop told me: “I don't understand, that day at 17pm there was a mass where they went, surrounded by the media”. Dom Manuel Quintas also added that when Susan Hubbard found out about my hearing request, she got scared and inclusively, sought him, very worried. The Bishop told me that he answered her queries saying that she should not be so worried if nothing unusual or wrong had happened. Hernâni Carvalho - Did the Bishop avoid discussing any issues? Paulo Sargento - No. I'm not going to give you details, but the Bishop was very open and did not flinch at anything I asked to him. He was willing, even, to resume contact for further questions or more information I needed. Interestingly, in that summer (2010), Kate spent a week vacation in Canada, in the house of a family member of Susan Hubbard, the wife of the priest.